Midem conference is held in Cannes’ renowned Palais des Festivals and it is most definitely a highlight in a packed calendar of summer events in the music industry. This year taking place from 6th – 9th June, it is attended by the likes of record labels, publishers, managers, booking agents and artists and is a hive of non-stop networking and meetings throughout the four days. The location is one not to be missed too, with the beautiful French Riviera coast being the backdrop to the week’s events. In total, this was my fourth time attending MIDEM. Although, this year was particularly exciting for me as it was the first time attending since we officially launched Anara Publishing earlier this year. It was a real pleasure to be able to meet a host of music supervisors to discuss our roster as well as connect with a multitude of unique artists and labels from across the globe. A particular highlight for me at this year’s event was Wednesday’s dedicated Sync and Brands Day, kindly organised by SynchAudio. The morning began with a series of panels, taking a hands on approach to sync. 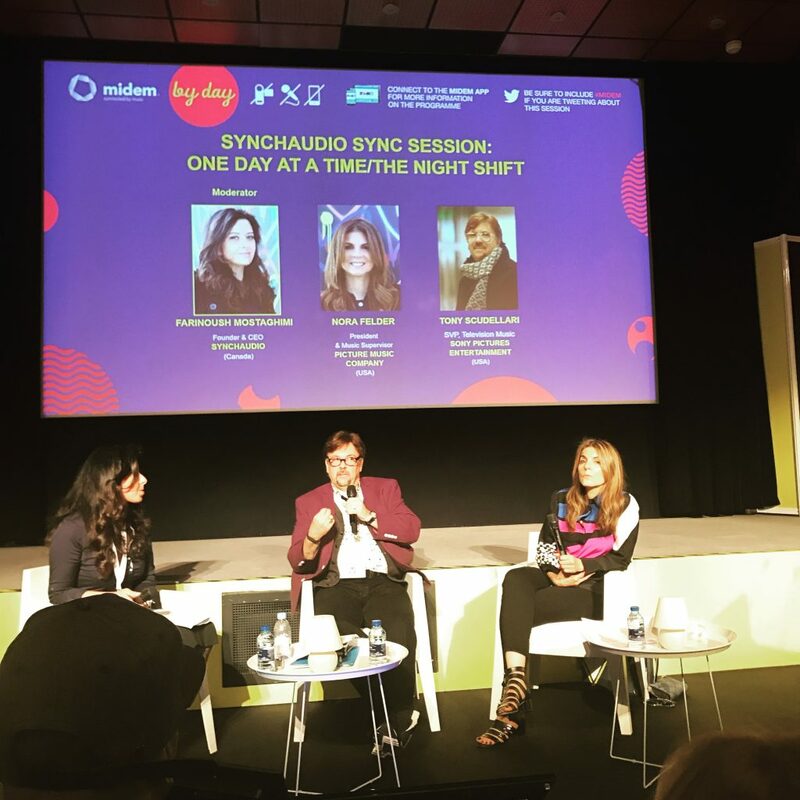 My favourite panel saw music supervisors Nora Felder and Tony Scudellari delve into how tracks are chosen for two television shows- NBC’s The Night Shift and Netflix’s One Day at a Time. This was followed by an in-depth spotting session from Grey Group’s Josh Rabinowitz in the quest to find a track for a new Herbal Essences advert from audience submissions. The afternoon of Sync and Brands Day saw us invited to the Global Sync & Brands Summit. This was a two hour roundtable event where I was able to meet with and pitch to nine music supervisors ranging across television, film and advertising. This was an invaluable event for us to be able to further expand our sync network and make great friends in the sync and publishing world along the way. It wouldn’t be Midem without the multitude of evening events and 2017 certainly didn’t disappoint. The beach of the Majestic hotel played host to the official ‘Midem by Night’ event. This was kicked off with a special British music showcase including a stellar headline set from Public Service Broadcasting. During the week we were also treated to performances from the finalists of the Midem Artist Accelerator, a Taiwan Beats showcase as well as special guests Wyclef Jean and the Man Doki Soulmates “Wings of Freedom”. I thoroughly enjoyed this year’s Midem and I am excited about all of the opportunities that have arisen for our artists. I can’t wait to be back in 2018 – au revoir Cannes!